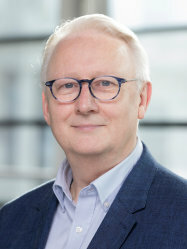 Paul Barton is Honorary Senior Research Fellow at the National Heart and Lung Institute working in the Cardiovascular Genetics and Genomics Group. He undertook a PhD in human genetics at the University of London followed by postdoctoral training at the Pasteur Institute in Paris under the direction of Dr Margaret Buckingham and supported by fellowships from the Muscular Dystrophy Association of America (MDA), the European Molecular Biology Organization (EMBO) and later, as a tenured scientist of the French Institut National de la Santé et de la Recherche Médicale (INSERM). In 1989 he joined Professor Sir Magdi Yacoub at the newly formed National Heart and Lung Institute (NHLI) in order to investigate molecular and cellular mechanisms of cardiac development and disease supported by a 10 year Senior Research Fellowship from the British Heart Foundation. He later also served as Assistant Director of Research to the Magdi Yacoub Institute. In 2011 he joined Professor Stuart Cook's Genetics and Genomics Group (cvgenetics.org) to investigate the molecular basis of inherited cardiac conditions. He is an Honorary Senior Research Fellow of Imperial College and acts as Research Manager for the Cardiovascular Genetics and Genomics Group. Dr Barton has published over 160 research papers and elected Fellowships from the European Society of Cardiology (FESC) and the American Heart Association (FAHA).